If your looking for a recipe to please the entire family then I have the perfect recipe for you today! 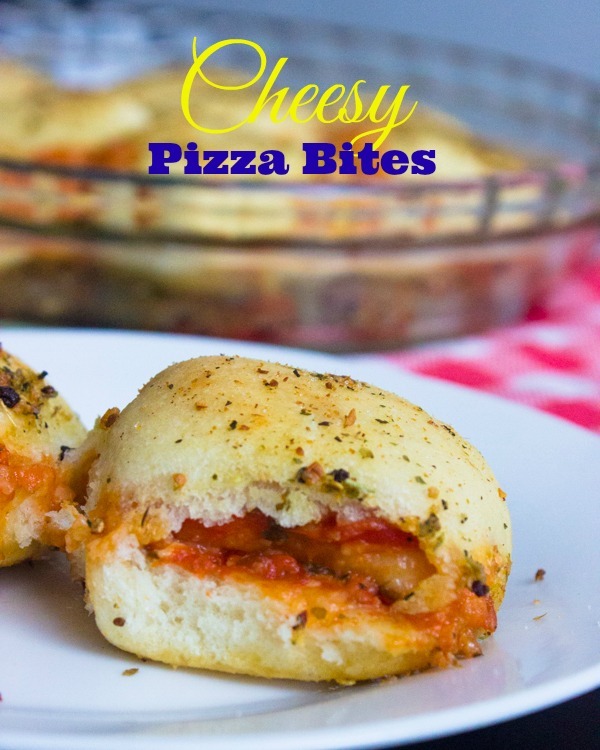 Imagine fluffy gooey pizza but in little tiny bites… I made these bites for the family and they couldn’t get enough of them. I only made one pan and it didn’t even last 5 minutes in the kitchen. I guess the lesson learned today is to make more next time! 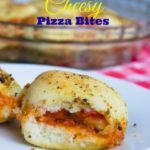 This recipe is very similar to classic pizza but instead of rolling out the pizza into one big pie, we make little pies and stuffed them with the cheese and sauce in order to form balls. You can make the bites ahead of time and refrigerator for up to one week and then pop them in the oven or toaster as needed. Don’t worry if a little bit of cheese spills out of the balls, just scoop it up with the balls for a plateful of goodness! You can also add toppings into the balls as desired. We used homemade pizza dough but store bought pizza dough works great as well! 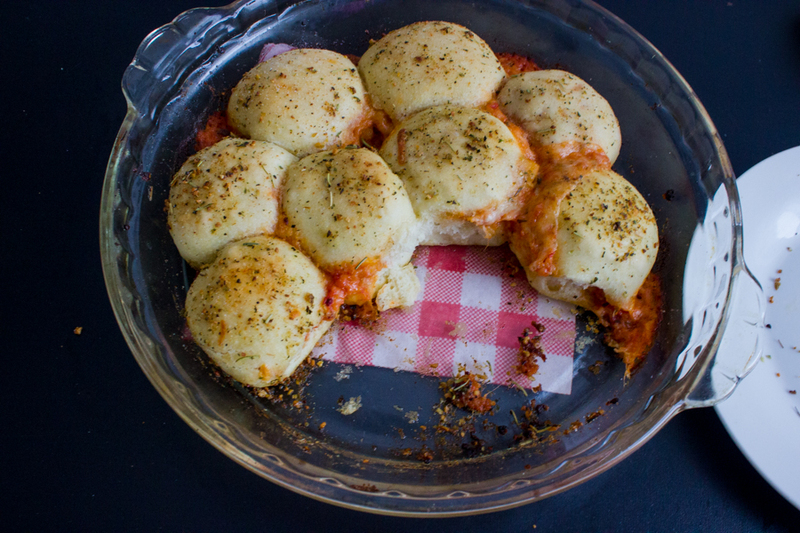 I have also tried this with Pillsbury canned dough and it was wonderful! Grease a 13x9, 9x9 pan, or two small pans.Cut pizza dough into 16 equal pieces, the size will vary based on the size of dough you have. Roll out each piece into 2 3 inch diameter, be careful not to roll out the dough too thin so it doesn't rip. 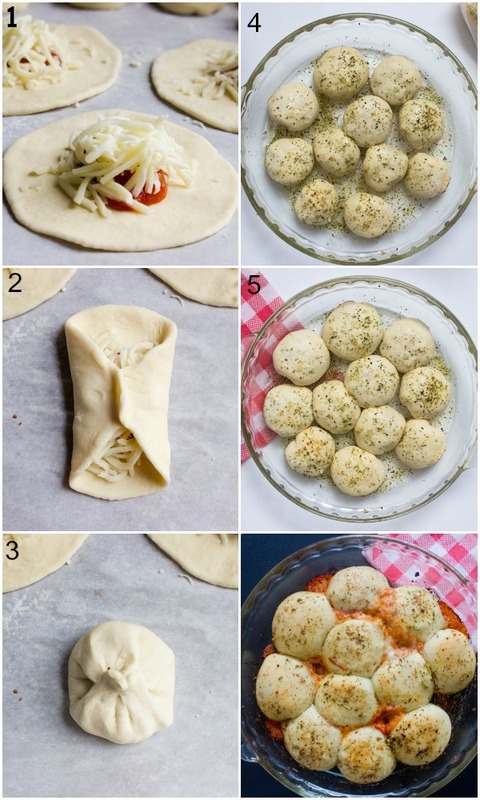 After rolling place 1 teaspoon of cheese and 1 teaspoon of sauce on each pie, fold into a ball and place on pan. continuing the process for all of the balls. Arrange balls 1 inch apart seam down. Gently brush with oil and sprinkle with Italian season. Cover for 20 minutes to rise. After 10 minutes of rising heat oven to 400 degrees for minutes. 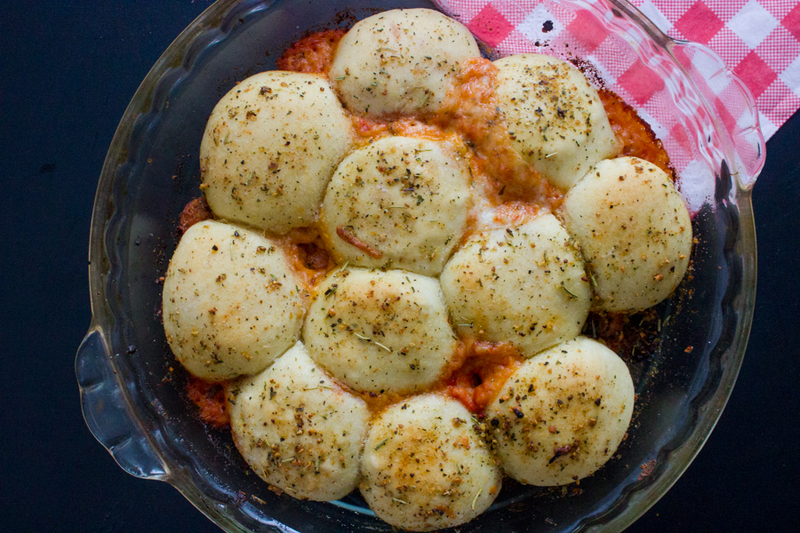 Place balls in oven for 15-20 minutes. Serve warm. Perfect timing, because these would be awesome for The Big Game on Sunday! Like, I can easily imagine my wife eating 14 batches of these things. Oh my gosh these look delicious! I love how they can be made ahead and popped in the freezer, what a quick and easy lunch! I love any recipe that I can make ahead of time, just makes life a little bit easier. Thanks, Katy!! Man my hubby would love if I made these. If ever there was a crust-lover, an admirer of ALL things pizza crust–it would be him. I’m sure he’s going to love these little bites, especially on game day! What a great idea! I’m a crust lover, so this is a great crust-to-topping ratio for me. haha! I can see why your family gobbled them up so quickly. This is great for kids because it’s less messy which is always great! Thanks Kayle! Do let me know if you make them! These are so fun! I love this idea, Layla! They look deeeeelish! I like the idea and I like even more that you posted more pics to show how to make these bites. Step-by-step is always the best! Thanks Daniela! I’m a Visual person and I know a lot of people are as well. I think it’s much more easier to view images rather than trying to understand the recipe alone! I’ve been wanting to make something like this! Looks so good! I love the Pillsbury canned dough. Think I will try it with that. Omg I can’t even explain how useful and helpful the canned dough is! it comes in handy when I don’t have to make dough because it freezes very well. Everything is bite size always better! glad you liked them! These look awesome! 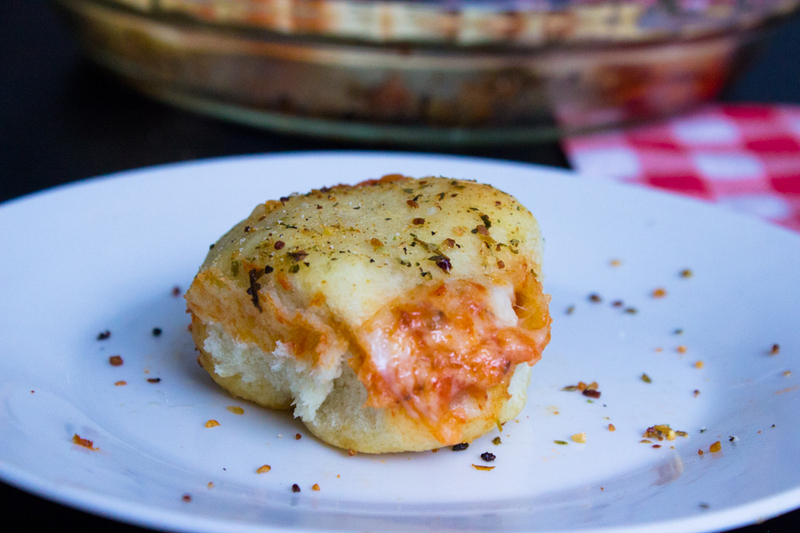 Easy, pizza-y and stuffed with cheese! Great for the upcoming Game day!